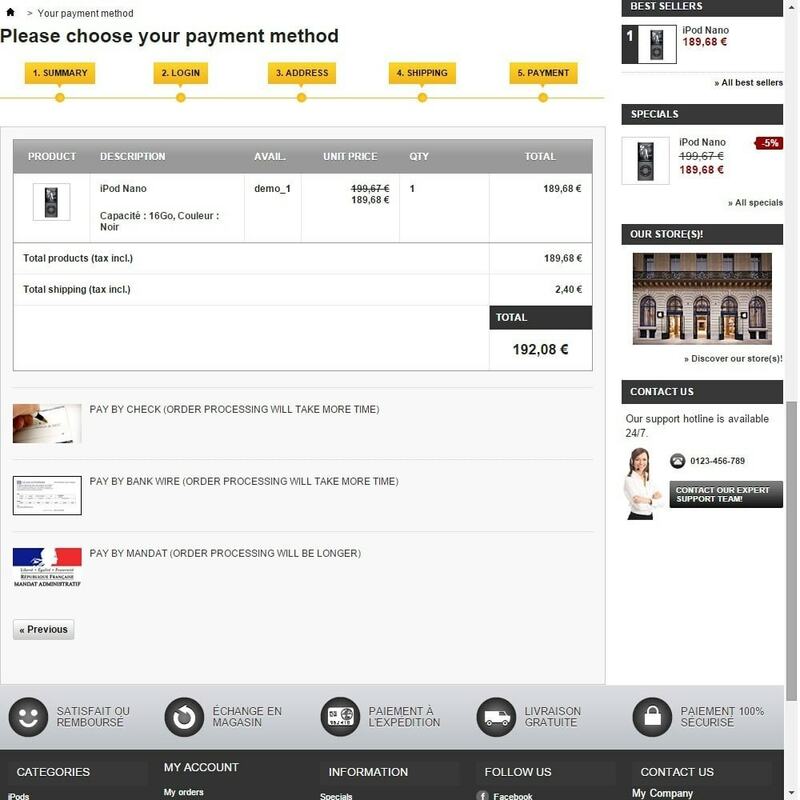 Submit payment via government money and improve your conversion rate! This payment is often used by government and local authorities. This module is developed by the agency Kiwik. 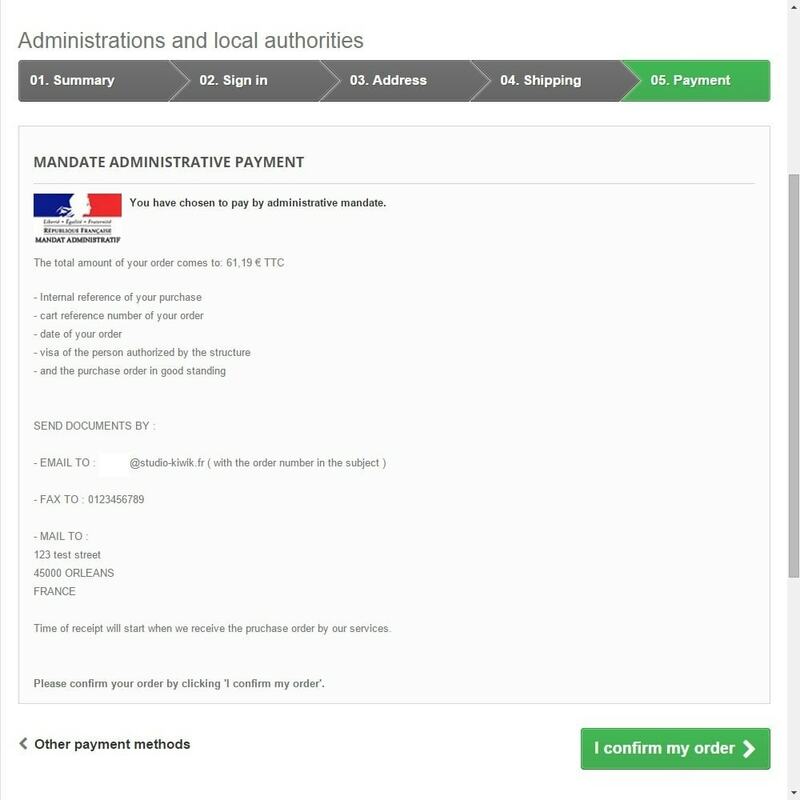 This payment method allows you to "open" to French administrative services and streamline their processes. 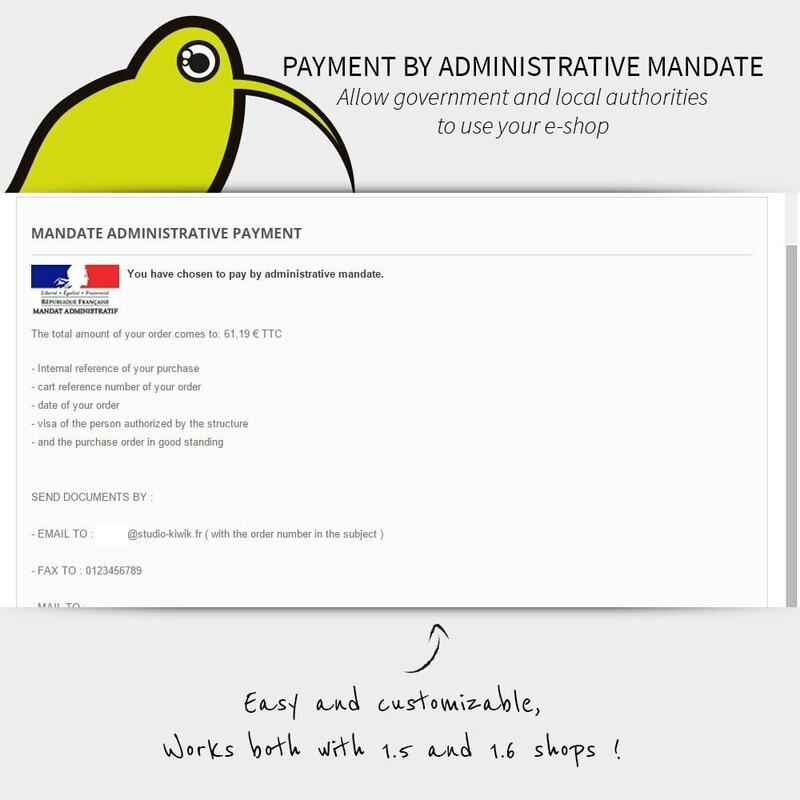 Adds a new payment method: "Pay by administrative mandate"
If a user chooses this method of payment, the order status will be updated on the status "Awaiting payment by official order"
Only open to French speaking countries. 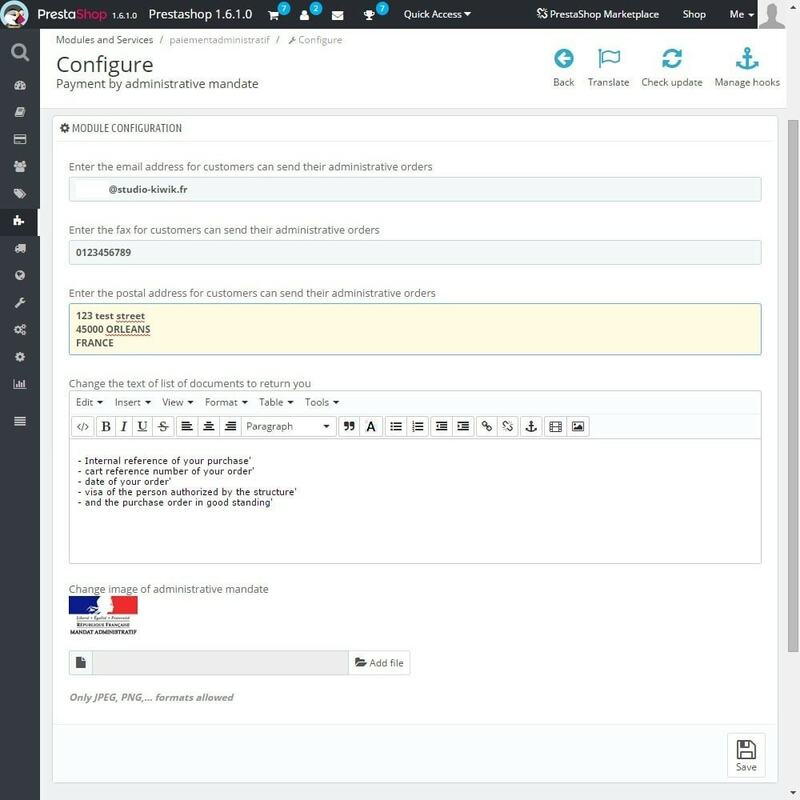 Easy installation, and very quick configuration. Searching for modern and original image gallery to present your products, photo album or press reviews? 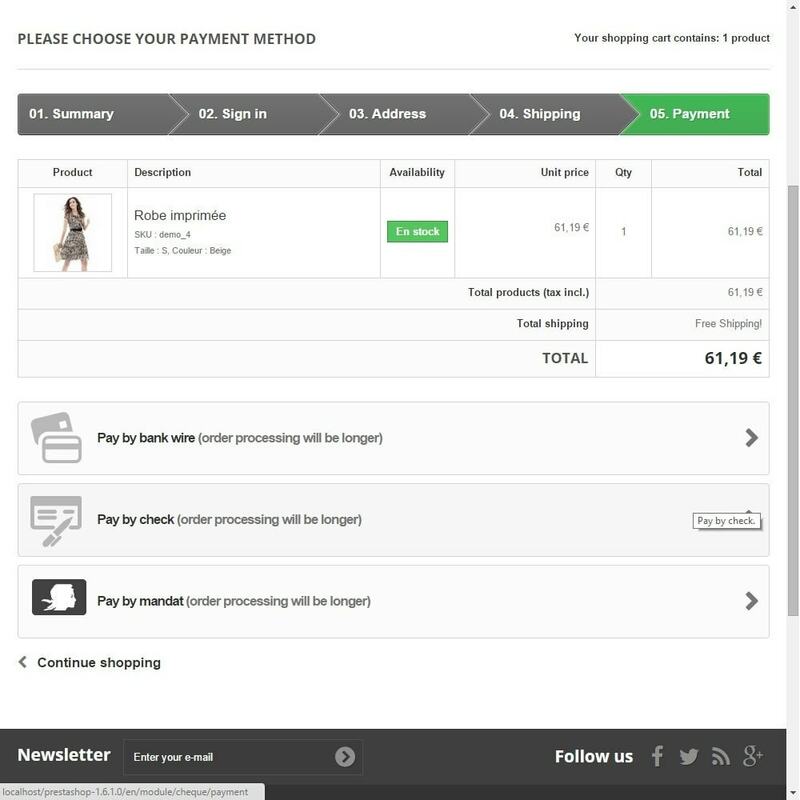 This module is made for you !Developed by web agency Kiwik, Platinium partner of Prestashop, with dedicated module support team.